There is something good about the grey and watery weather we have been experiencing lately, as much as we may not enjoy getting home with soaked feet, carrying around wet umbrellas and lacking on vitamin D.
Rain almost automatically turns on a desire in us to relax, have time for our ourselves, to be lazy, and to get lost in things we love. 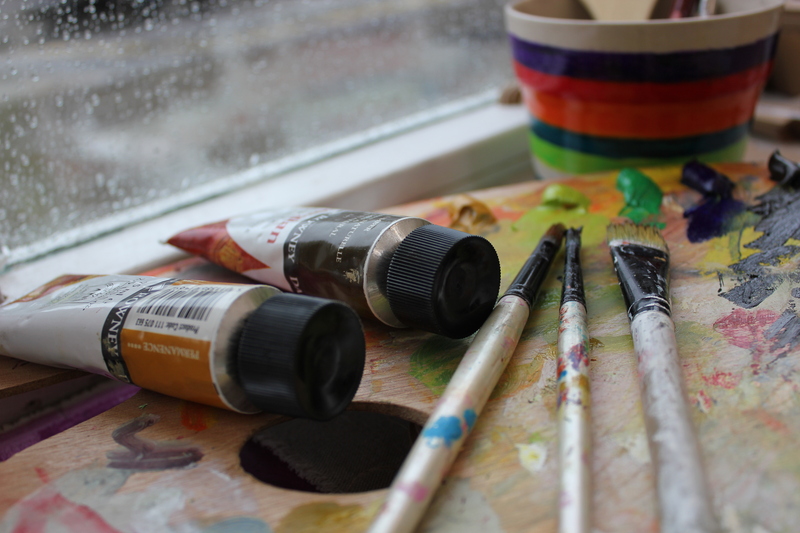 If you think it’s too grey outside, crack-open the slightly dried-out paint tubes you still keep and spill out some colours. Wet the brushes a little. Just like the rain does with everything. And as after a spring rain, it will leave you feeling fresh and new.